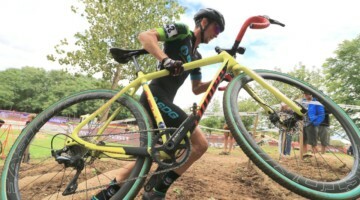 On Sunday, nearly everybody in the cyclocross world saw the viral video of Sven Nys nearly riding, and then completely riding up a set of stairs during the Cat 4/5 race at the Chicago Cross Cup opening weekend. Cyclocross Magazine is on site at the Johnson County Fairgrounds, and we caught up with Sven Nys at his Telenet Fidea team’s tent. 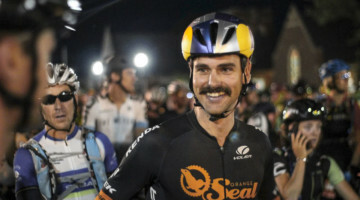 We chatted with the Belgian legend about his viral sensation and his post-retirement role as a high-flying ambassador of cyclocross. 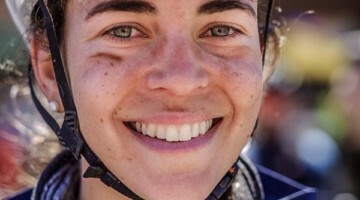 Stay tuned to Cyclocross Magazine throughout the weekend for coverage from Iowa City. Hi Zachary, Thanks for this follow-up interview and for mentioning the Return of the Svens clinic. I’m the director of the race that Sven (or was it Stan?) joined and would love the opportunity to tell you more about our team and our mission to promote cyclocross through races, clinics, and other programs. Feel free to email me at [email protected] if you’re interested. Thanks, and enjoy JingleCX!